There was the Industrial Revolution in the 19th century and then there was the Digital Revolution in the 20th century. What we stand to witness now in this 21st century is the Blockchain Revolution. Why a revolution? Isn’t it just another disruptive technology? You could call it another disruptive technology, but what blockchain stands to do is way more than just being disruptive. It is going to change entire business models and maybe turn everything that uses a third party model upside-down. Blockchain stands for simplification. It assures speed, security, value, reliability, and consistency. These are qualities that everyone who is working in the digital realm, pines for. How is Blockchain going to make this change happen? Just imagine being able to transfer money to a friend of yours, without going through a bank interface. Quick, easy, and safe. Just like transferring money from your wallet to that of your friends. You will not be required to furnish sensitive data on the internet and worry about it falling into the wrong hands. That is what blockchain does. It saves every single transaction as it is in a ledger which is consolidated every 10 minutes. A volunteer peer-to-peer network verifies each and every transaction and approves it. Upon approval, it is added to a ledger. Many such ledgers form a block and a number of such blocks all over the network form the blockchain. Hence, the moniker. Each transaction is time-stamped, making them irreversible and should be linked to the earlier transaction. This is one of the security features of blockchain. If somebody wanted to hack in and make changes to a certain transaction, for example steal a Bitcoin, they would have to make retrospective changes to the entire line of transactions of that particular bitcoin. This feat although theoretically possible is practically impossible. Secondly, the transactions and ledgers are heavily encrypted using a two-key security. A public password and a private password, much like the system we have to access guarded and secure vaults. Also, the information on blockchain is public. It is not just stored in the private data vaults of an MNC whose security measures, as we all pray, might stay up-to-date. Since all the network on blockchain network is anyways public, this removes the necessity to hack into and retrieve sensitive data. Everything is as transparent, real-time, and simple as it can be. 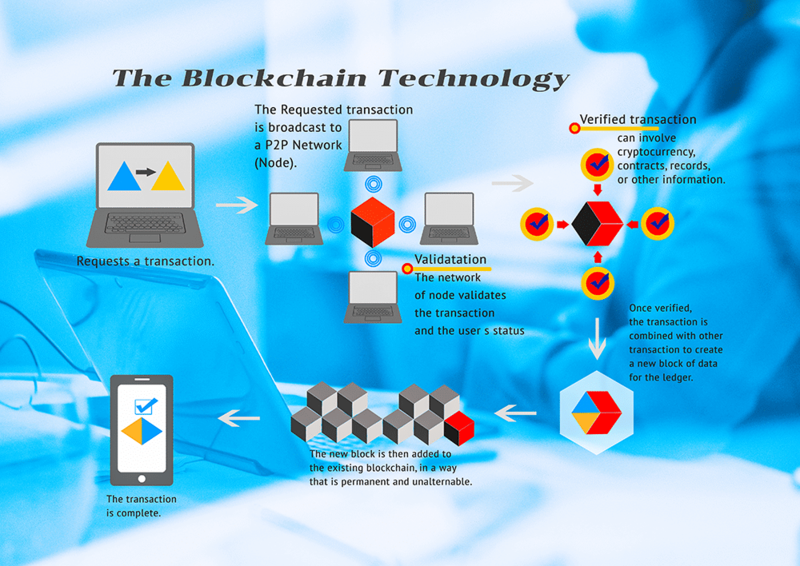 Once blockchain gathers prominence and new applications are built on this technology, it will remove the need to have third party involvement by making transactions simpler. Bank mainframes which have been running since the 1970s will become redundant and will lead way to quicker, real-time transactions. The absence of third parties in any transaction improves speed, reduces error and increases overall value for the customer. Added to this the added security will make blockchain an extremely sought after technology which will make lives easier, manifold. Which industries will Blockchain be applied to? The answer to this is any industry that creates and stores data and uses them to monitor transactions. It could be the financial, health, e-commerce, education industry and even the governments of various countries. Wherever we are witnessing digitisation we can expect blockchain to further revolutionise it with its benefits. Whether you want to transfer money without paying a hefty fee or you would like to access a cab home at a price cheaper than what cab services offer you when you go through a third party service. Blockchain is here to add more value to our lives and keeping our information more secure and safe from threats.